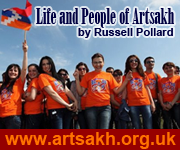 Artsakh.Org.UK has been established with the objective of promoting and recognising Artsakh (Nagorno-Karabakh) as an INDEPENDENT country, where the People have the right to live in Peace and Freedom within the Global Community. Artsakh is a country of 150,000 people that has lived in peace for the last 20 years. It is situated within the South Caucasus, adjacent to the Republic of Armenia. The unresolved conflict with Azerbaijan, and its unrecognised status, means that the People are unjustly deprived of their rights as global citizens. Based in the UK, my objective is to publicise the many positive aspects of the Life and People of Artsakh, the culture, the youth and the vibrancy as well as the many difficult issues that surround this country and the Armenian people. I am a totally independent concern, have no Armenian lineage, but recognise the fundamental humanitarian issue that is affecting the lives of the citizens of this country.Ultimately self-determination of the People must take precedence over territorial integrity in a modern, global, community. Recognised Independence, and lasting Peace and Freedom for the People of Artsakh is the only acceptable outcome. I am cooperating with Susanna Petrosyan of the Artsakh Youth Development Center (AYDC). The basis of this is the shared objective of “Making Artsakh visible”. 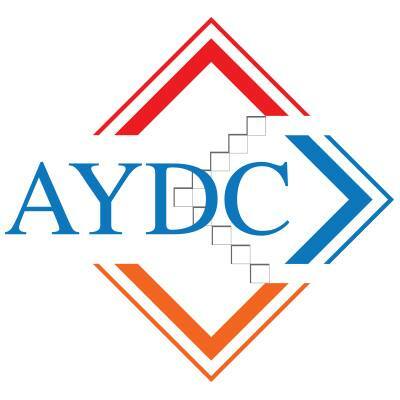 AYDC supports me with specific research, assistance with identifying and meeting contacts, and translation. I also volunteer with English Conversation and Photography classes in the Center. I greet establishment of this website. It’s by all means one of the necessities of making people aware of true news and happenings as well as reaching the final goal of recognition of Artsakh as an independent state. I wish you all the best and determination to carry on your wonderful job. I would like to congratulate this wonderful website. Thank you for this great work done. I really enjoyed the photos of Artsakh’s beautiful land and brave people. The informational resources undoubtedly will help to understand the history, culture and struggle of Artsakh people for its independence. I am sure that it is a step in right direction. Wish you implementation of the objectives and I am ready to assist also. Hello, you show big enthusiasm to support the Armenians of Karabakh. But while beeing enthusiastic, you forget the Azerbaijanians who were forced to flee. Not every old men and women who lives now in refugee villages are guilty for this war. Robert, thank you for your comment. I am well aware that many Azerbaijanis were forced to flee Armenia and Nagorno-Karabakh, however I am only concentrating, in this blog, on the people living in Nagorno-Karabakh today; I am sure that the stories of the Azeri refugees should be told elsewhere. On your last point I don’t believe that I have said that the refugees are guilty for the war – this is clearly not the case. Robert, it is sad to see people from both side of the conflict that suffer and still suffering. As an Armenian I understand this, We have been suffering for more than three Centuries. The conflict between the Armenians and Azerbaijanis are not new more than one hundred years. Tell me Robert, why would these people, Armenians, need to suffer, and take arms to protect themselves if the country they were part of really cared for them. Why??? Azerbaijanis treated the Armenians like their slaves, even worse then that for more than a Century. I look at Catalonia of Spain and they want to separate their state from the the rest of Spain…why you make ask?? Spain does not treat the Catalonians how the Turks and the Azerbaijanis treated the Armenians?? they want to separate because they poor more money in the rest of Spain then the other states do. So, can you imagine Robert, for a minute, that if Spanish people treated the Catalonians the way The Turks and Azerbaijanis treated the Armenians for more than a Century, there would be a blood bath in Spain today. So, Robert, try not to be NAIVE. Thanks . excellent point. but then again you’re talking to a wall aka turk. Zohrab Balian could you please explain how Armenians were slaves of Azerbaijanis considering that Levon Isayevic Mirzoyan was the Secretary of Communist Part of the Azeri SSR from January 21, 1926 to August 5, 1929.Many Armenians worked in higest positions in Azerbaijan.May be owner of this site doesnt know but you and me know it very well.So lets act like a normal human being.Enough lie. Aziz, Baku was constructed by Armenians . And in 1926 they lived in their own country, developed industry including oil industry, education, culture and science. In Baku along with Armenians lived Russians and Jews, and very few azeris. So, it is natural that Levon Mirzoyan was the Secretary of Communist Party (he was also the Secretary of Communist party of Kazakhstan, and his statue is located there). Later azeris quantitatively increased in city and in 1988-1992 they organized second genocide of Armenians in Baku (first one was in 1918 with 30 000 victims), sumgait and other sites of azerbayjan. In 1920 genocide of Armenians in Shushi, one of cultural centers of Caucasus took lives of 20 000 people. So, Aziz , let’s say only a truth. Armenians lived in their homeland thousand years while turk-azeris appeared here only in 14-th century. I’m really thankful for doing this. 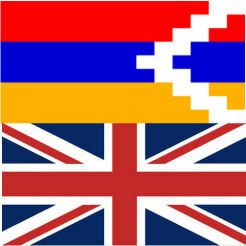 This means a lot for the people of Artsakh would should recognise their self determination and respect their choice! Thanks for the very important work you do, Russell Pollard. Much respect to you from the United States. I know that whatever I will comment here may trigger outrageous reactions from the readers of Armenian ethnicity. Therefore, I will try to be as brief as possible without going into great details. I’m an Azerbaijani Turk. Historical facts are quite controversial with regard to events of 1915. Turkish and Armenian sources quote different facts and statements, but I agree that no human being – civilian should have been murdered during any war, there is no justice for that. Any fact of killing civilians be it Turks, Armenians, Azerbaijanis, Georgians etc. killed during military operation shall be considered as a brutal and ruthless crime against humanity. Nevertheless, let’s be honest with ourselves. By digging deeper into previous tragedies, Armenian ideological machine has done good deeds neither to Armenians nor to its neighbors. The ideological machine has manipulated with partly real and mostly fictional facts by affecting mentality of Armenians as a nation who now have deeply rooted hatred against Turks. This reacted some conflicts such as the war in Nagorny Garabagh where thousands of innocent people were killed and hundreds thousands were displaced from their lands. I’m being Azerbaijani can refer to the mass killing of Azerbaijanis in town Khojaly which is another evidence of hatred. I understand the same way Armenian side sustained civilian casualties during this war which cannot be justified. But most of these problems occurred due to manipulation that I mentioned above, Armenian scientists and lobbyist groups have been seeding hatred into the minds of Armenian population against the Turkic ethnicity, plus ideas on recovery of the “Great Armenia”. If there were Great Armenia in the history although I don’t confirm this fact due to lack of solid historical facts other than those Armenian related sources, it doesn’t give the right to Armenians living in the 20th – 21st century to abolish the fates of whole nations in order to restore the “Historical” Armenia. In this case, let’s go back into history and give all the nations who have ever been part of great empires the right to claim and restore their “historical” lands after so many centuries? Can you imagine what will happen in the world if Romans, Byzantines, Mongol-Seljuk, Sassanid’s, Ottomans and British will claim for their imperial territories. You don’t really care and you don’t certainly feel the pain of thousands of people who were forcefully pushed away from their homes just because your ideological machine decided to restore “Great Armenia”. Do you understand that we are talking about people here? If they are not Armenians but they are of Turkic origin then they are not humans to you. My ancestors are the survivors or Armenian – Azerbaijani conflict of 1914-1915. My grand grand fathers lived in Erivan for centuries, now we have very few relatives from paternal line, as most of them were murdered just for being Azerbaijani Turks. You will definitely question these facts as they don’t work for you. You will also question the fact that my wife is the refugee of Garabagh war who lost her home and many members of her family. But, it doesn’t mean we have to think of revenge by killing civilians, if we have to fight we have to do it in a manhood manner, but your ideological machine dictates the opposite. They are still ready to erase many settlements and towns to restore “Great Armenia”, and my question, what do you think should happen to people living in those towns and settlements, where should they go? Who should be liable for their tragedy, my dear oldest Christian nation, have you ever asked this question to yourselves? Kenan – you make some interesting points. But for all nations involved in war, and simmering conflicts there is unfortunately propaganda, and Azerbaijan is well-known for its thriving and effective machine. An objective study of Khojaly and how it has been exploited, as an issue quite recently, is a case in point. I recognise that for one-side to be truly objective about itself is very difficult and that is the real challenge of any form of long-term reconciliation. In a war/conflict, both sides will commit acts that they will regret in hindsight whether that be Armenia, Azerbaijan, UK, USA….and so on. The first stage of peace and reconciliation is to stop propagating falsehoods and publishing bile about one’s enemy – when we see that in the South Caucasus, then we will know that progress is being made. Even if I cannot agree with most of the comments in this site, I have to admit that at least there is some space for communication and debate here without counter abuses and insults. But I don’t honestly see very peaceful ending for this conflict because peace doesn’t mean solution of the problem at the expense of total concessions of the other side. In any case, I hope the justice will prevail at the end. Can we please talk about how small Armenia is in comparison with *any* of its neighbors? And how did it get to be that small, I wonder? Well, it’s something Kenan probably doesn’t spend time wondering about. Any territory cleared of Armenians was because of their desire to establish a “Great Armenia,” according to Kenan. More like Turkey and Azerbaijan’s desire to establish their own Turkic domains. Where should the Azeri refugees go? If they don’t wish to live alongside Armenians in Karabagh — and I know most of them don’t — then they should simply integrate into Azerbaijani society. That’s what Armenian survivors and refugees of the “1915 events” you talk about did since they could not go back to their homes in Turkey. You have a grandfather who was murdered in Erivan and Armenians have grandfathers that were murdered in Van, Bitlis, Erzurum, Trabzon, Adana, Marash, Mush, and Kars, not to mention Shushi (which became a decisively Azeri majority city only after its Armenian population had been massacred in the 1920s) and Nakhichevan. You are denying Armenian history and tragedies and making claims for peace at the same time. Sorry but that’s ridiculous. Artsakh is Armenian since the ancient times. Do you want force Azeris on Armenians. I do not know who you are, but the people of Artsakh has won a war for their independence. The have been right, and they have now lots of arms, so they can defend themselves very effectually. Before you die, you will never see Armenians giving up Artsakh, do not even hope, and do not waste you time on a lost course. Russell, sincere congratulations for this magnificent site. You are bringing to the world an untold and unknown story that sometimes even Armenians know little about. I am one of them. I do hope that people in Azerbaijan will one day recognize that war is not always the answer to resolve outstanding issues. Greetings from Canada. Alex, Many thanks for your comment – I am pleased that you find the content valuable. Thank You, Russell for your great job! Unfortunately, azeri’s propaganda machine with there oil-money do there dirty work all over the world and very often people do not know the truth of the azeri’s aggression against peaceful people of Artsakh. You do really great job, Russell! And I thank You for that. Money – is mostly anything in this world but… One can’t hide the truth always. Soon or later (and also by doing such a job as You do, Russell) the world will have the truth. The truth about Armenian Genocide in 1915 in Western Armenian land (now “eastern turkey”) and all over the now called “Turkey”, the truth about massacre innocent Armenians in Baku, Sumgait, Maraga.. All the short history of the country Azerbaghan is full of innocent Armenians blood. They did and do like there brothers-turks did. And it lasts in our days. Just have a look on murder ramil safarof case (who killed Armenian solder by ax when he was sleeping!). Azeris do not have any common thing with Artsakh lands! Nothing! Please, who hesitate – just study the history before listen to that azeris lie! Soviets gave azeris Artsakh (that time called “Nagorniy Karabakh”) and historical Armenians land of Nakhijavan (just look at map!!). 3) Russell, I would like to know your opinion on this. What do You think is this true or this video is fake? Thanks for your kind comments and the links. The Youtube video is not referring to the original text which uses the term Armorica ( not Armenia) which is the name given to the North West of Gaul (France) which makes more sense. These would be Celts who would have populated these islands before they were islands…since then many different peoples have come here to ultimately form the different nationalities – such as they are 🙂 That’s a whole different question! The reference I find more intriguing ( all from Bede’s History of the English Church and People) is in the same chapter where it refers to climate, and the latitude of England and comments “In Armenia, Macedonia and Italy, and other countries of that latitude….”. Bede was a monk and this was written in the 8th Century so was well aware of Armenia….I hadn’t noticed this before. This is very good site and I from the part of many armenians appreciate your initiative and good will. My question is how can I post it in FB? Any poster who writes that sentence is an Anti-Armenian Armenian Genocide denialist. There is no ‘controversy’ when it comes to the AG. There are no ‘different facts’: only Turkish and Turkophile denialist disinformation. Nothing you write after denying the Armenian Genocide can be taken seriously: just another shill. – NO Turkic people anywhere near Caucasus until about 1000AD. None. Zero. – A Turk living in Yerevan, like your supposed grandfathers ‘for centuries’, invaded from thousands of kilometers due East: nobody invited them to Yerevan. They came in force, massacred the indigenous Armenians, ethnically cleansed them from their native lands, and took up residence on somebody else’s property. If criminals invaded your home in Baku, murdered most of your family, threw you out, and called your home ‘theirs’, would you be OK with it ? – Armenians are indigenous to Armenian Highlands for about 5000 years. At least. – Turkic homeland is near Uyguristan. Near China. – the indigenous peoples of the state called ‘Azerbaijan’ are Talysh, Avars, Lezgins, Tats, etc. : not Turks. – nomadic Turkic tribes invaded, massacred and ethnically cleansed the indigenous peoples, took their lands, and are now calling it ‘native Turkish lands’. – the areas outside the NKAO footprint are Armenian lands. All the way to Kur river. Armenians previously living there were massacred and ethnically cleansed by invading Turkic tribes over centuries. Mr. Pollard has an article where he extensively analyzed the Khojaly tragedy. Go to LIST OF ARTICLES. 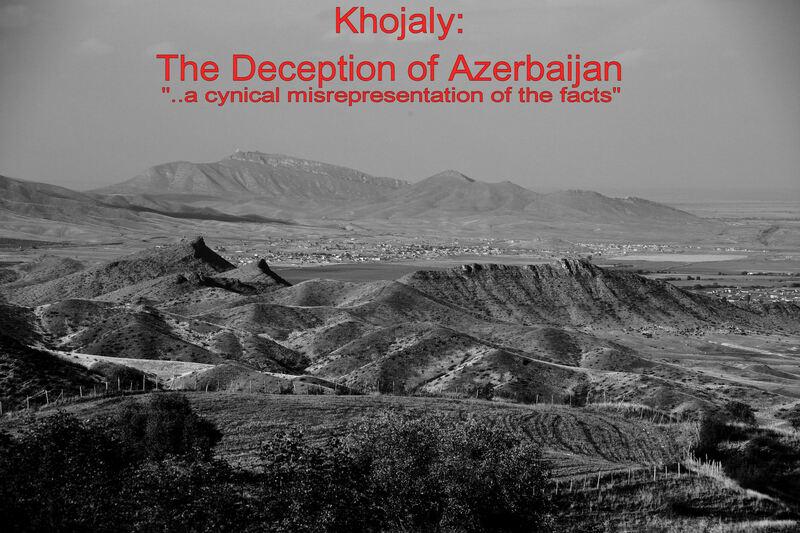 Under WAR AND ITS LEGACY you will see “Khojaly : The Deception of Azerbaijan”. Read it, then talk about “evidence of hatred”. You practice the same Turkbeijani style of deception as the rest: how is it that you remember Khojaly (1992), but do not remember the massacres of Armenian civilians in Sumgait (1988), Kirovabad (1988), Baku (1990). Not during wartime, but during peacetime. War started in 1991. Defenseless Armenian civilians were hunted down and massacred in Azerbaijan by fascist Musavat mobs, aided and abetted by the Azerbaijani leadership long before the war. – when USSR dissolved, Azerbaijan declared independence in 1991. – On that day its legal (Soviet) mandate to administer NKAO ended. – NKAO legally declared independence and became NKR. – Azerbaijan invaded NKR: Azerbaijan _started_ the war. – When a country starts a war, it is responsible for all the deaths and all the consequences. – Azerbaijan tried to commit another genocide of Armenians and wipe out the 150,000 native, indigenous Armenians of Artsakh. – Azerbaijan failed and sued for a ceasefire in 1994 when it faced imminent catastrophe at the hands of NKR Army. – If Azerbaijan had succeeded in wiping out NKR, would you guys today discuss returning our Artsakh to Armenians ? Do pigs fly. – There was a population exchange between Azerbaijan and Armenia+NKR: Azerbaijanis living on Armenian lands went back to Azerbaijan. 400K Armenians living in Azerbaijan returned to Armenia+NKR. Done deal. – Azerbaijani Presidential spokesman Elnur Aslanov called Armenia ‘cancer’ of the region just a couple of months ago. Again. – A psychopath axe-murderer is treated like a national hero in Azerbaijan. Why ? Because he murdered a sleeping Armenian man at a NATO peace conference. – The whole Azerbaijani officialdom and society is gripped with Anti-Armenian hysteria. – Terrorist threats against Armenia and Armenians are a weekly feature from Baku. – Leave Armenians alone and go away. – Today’s Armenians are not the same ones in 1915: nobody is going to meekly march to their deaths in long columns any more. – You guys found out what Armenians are capable of when everybody takes up arms and everybody fights. – Leave Armenians alone and go away: otherwise very, very bad things will happen to Azerbaijan. We will win someday..we will win. As a proud Armenian person, I promise my country that I will defend for it no matter what, I’m not afraid of them or their power. All that matters to me is to get our beautiful land back. Also I would like to thank you for this spectacular site. Excellent Website. Thank you Mr. Pollard for the fair assessment about the political reality in Artsakh. No disrespect to my Turkish friends, but these lands have been inhabited by Armenians for 3,000+ years now. “Armenia Capta,” means Captive Armenia and Not Captive Turkey or Azerbaijan. Just today, a coin depicting Tigranes the great was put on auction in Berlin. One side of the coin shows Tigranes the great, the other side, Mount Ararat. However, rest assured my Turkish friends, there absolutely are NO grandiose ambitions to reclaim the historical lands of the Armenians. We just keep what we have, a small landlocked, surrounded by enemies on all sides, Armenia. LANDS ARMENIAN,WHETHER IN THE EAST(NK AND NAKHIJEVAN) OR WEST TO VAN BITLIS MOUSH ETC., ARE THERE.THEY WILL NOT PULL THE DISAPPEARING ACT.K U R D S ARE ON THEM MAINLY.ARMENIANS OUGHT TO WAIT SOME MORE,BEFORE RECLAIMING LANDS.WHAT ARMENIANS SHOULD CLAIM NOW IS ´´B L O O D M O N E Y ´´.LIKE THE JEWS DID FROM DEMCRATIC GERMANY FOR BLOOD SHED BY NAZI GERMANY AND RECEIVED.THAT IS WHAT WE SHOULD BE AFTER NOW!!!!! Hi Russell! I hope you are doing well. This is a great site and I came across it from reading a comment that you had made just recently on the Guardian. Great job and it’s truly amazing to see you have so much interest in the topic. And i also wanted to see if you or anyone on this these posts would be interested in taking an action alert in regards of Aliyev. The Armenian National Committee of America is currently having a campaign in order to stop his [Aliyev’s]brutal actions, hate and finally, to make sure that a large scale war doesn’t break in the region. If interested, please visit http://www.anca.org/stopaliyev. Your support for justice and truth is very much appreciated.